Jared Leto was awarded an Oscar for his performance in Dallas Buyers Club back in 2014, and in his first film role since, it looks like his performance is set to be just as good as The Joker in Suicide Squad. In an eight-second long Snapchat video posted on Friday, the 30 Seconds To Mars singer showed off his intimidating and unnerving growl as the character – providing eager audiences with a sneak peak into the film. When he finishes his horrifying cry, the actor proceeds to stick out his tongue as several balloons burst beside his head. According to the Daily Mail, the snapchat was captioned with the line, ‘Exclusive! 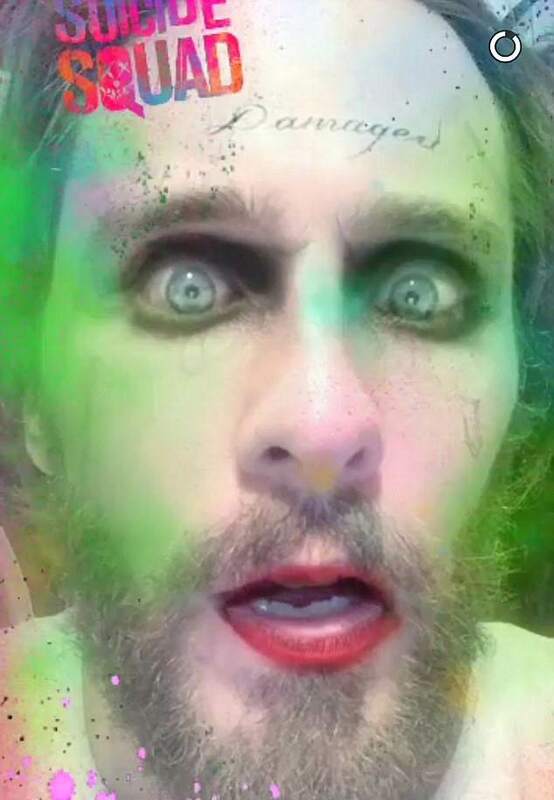 Meet the bearded JOKER #JokerWasHere’. The Suicide Squad character’s iconic look features slick backed green hair, and a clean shaven pale face, however Jared was quite the opposite with dark grey hair and a full beard in the vid. It’s not known whether The Joker will actually sport a beard in the film itself, but with these supposed reshoots currently being done for the movie, who knows! Suicide Squad is due to be released on August 5 and we cannot wait!